T-Minus One Month! | T.O.T.E. Our due date is June 29th. I know that babies don’t really need that much. And I know all the preparations will happen. But that doesn’t mean I’m not panicking a little bit (including the use of double negatives, and starting sentences with conjunctions…). We had BIG plans for the 3-day weekend. Get the house unpacked. Get the baby gear prepared. Build my raised beds. Plant my garden. Install a cat door. Go for a hike. Buy a second car. Friday, Andy and I went on a date to Salty’s. Seafood is much fresher this close to the coast. We missed that in Utah. 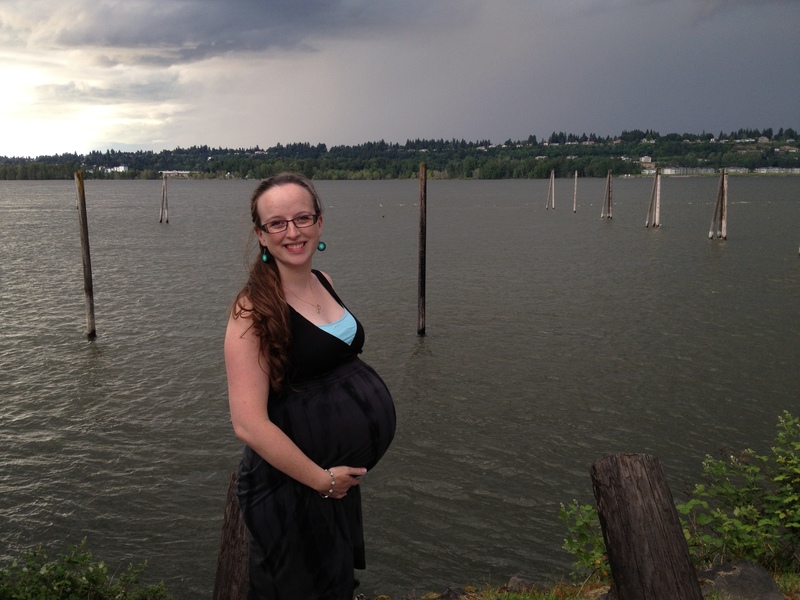 Our table had a beautiful view of the Columbia, and we watched the boats sail by, racing ahead of the thunder storm that arrived just in time for dessert. This date resulted in the preggo pic above where I’m wearing something other than sweat pants. Saturday…hmm, what did we do? Oh! We failed at buying raised bed supplies. Cedar is expensive! Good thing Nikki has connections to some awesome wood through City Farm. So, the raised beds will be built. They must be. I already bought my vegetables! He he! 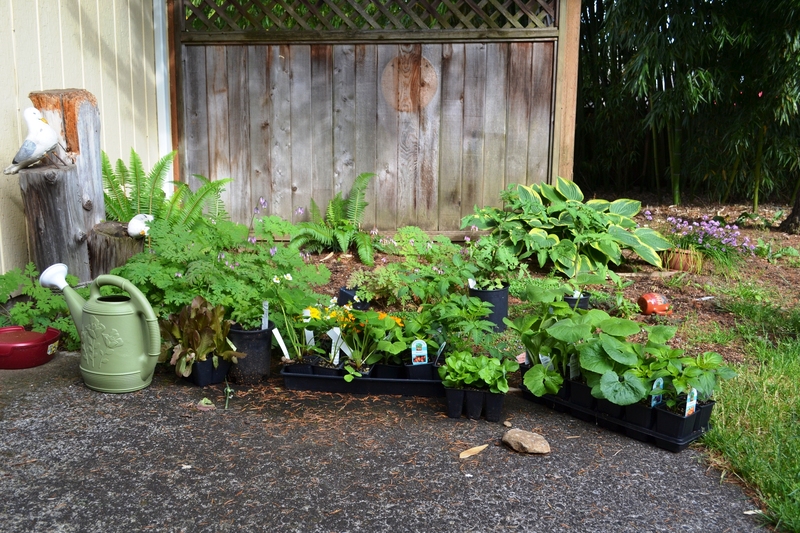 These small plants will translate into tasty tomatoes, squash, beets, lettuce, strawberries, peppers and more…mmm. Can’t wait. And, we watched the first episode of the new PBS Sherlock. I highly, highly recommend watching this show. There are only 3 episodes a season, but they’re each an hour and a half. Like mini-movies. 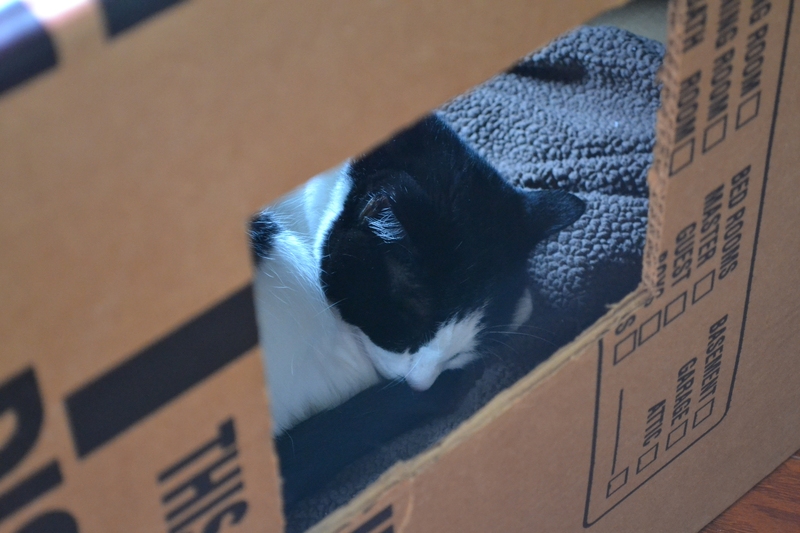 Sunday, I built this: I think the cat may like it just as much as Mo does. 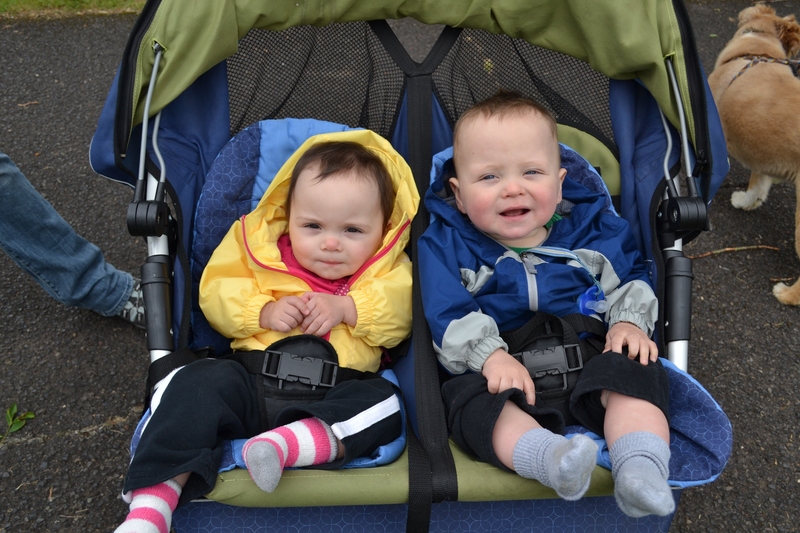 Monday, we went for a walk with Joel and Abbie and the twins. Aren’t they the cutest babies ever?! My stamina is not what it was with Mo in-utero. By mile 1 of this flat, paved trail on Monday, I was done. 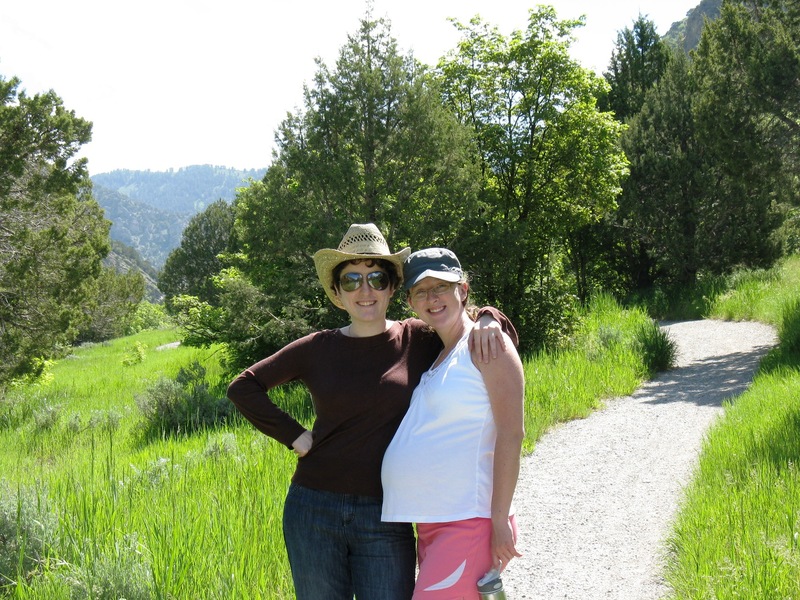 Here’s a pic of me hiking a couple miles at a mile high in UT with my sister, 7 days before Mo was born. I felt pretty dang good. I started this pregnancy at a lower level of fitness than my previous pregnancy, and I can tell. However, instead of dwelling on my weak-sauce muscles, I’m writing this down now so I’m more motivated to get into shape after #2 is here. I give you permission to remind me. Gently, k? And not when I’m postpartum hormone crazy. Monday continued, Andy did indeed install a cat door. Yay! No more cat box inside the house! And, even more importantly, the cat actually uses the door! Yay! Also, Mo-bug helped me water our new plants. It was cold outside! Mo kept saying “Brr! !” but she certainly wouldn’t miss playing with the hose. So…did we accomplish our goals for this weekend? Not in the least. Did we have a good time? Absolutely. The other way to look at our count-down is: we have a whole month left! That’s plenty of time to wash some clothes, install a car seat and set up a teeny-tiny bed. Right? Right? This entry was posted in Uncategorized and tagged #2, Life. Bookmark the permalink.